Strife is a new MOBA that’s perfect for the casual gamer, with great design and a focus on less punishing, more user-friendly gameplay. The sweeping appeal of the MOBA in recent years has drawn hoards of players and spawned a slew of great games and mediocre clones alike. 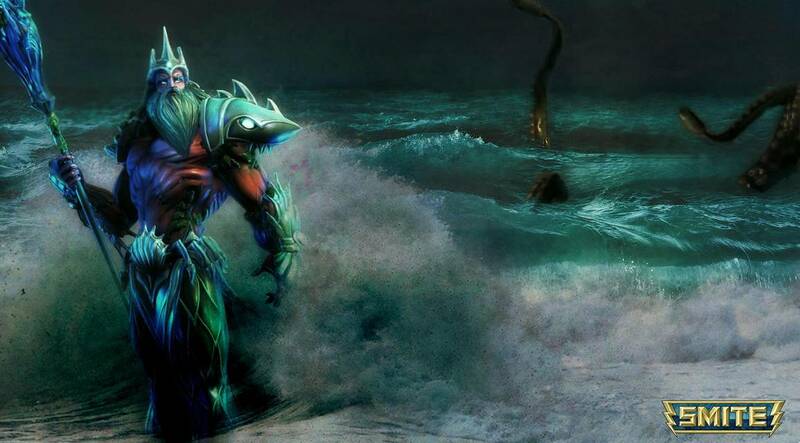 But along with its intense popularity has come an equally formidable wave of back-biting, intolerance and general ugliness, giving the MOBA genre and its players a reputation as one of gaming’s worst communities. Let’s just say it – playing a MOBA can be highly unpleasant, especially if you’re still learning the ropes and being torn to pieces by opportunistic opponents and hostile teammates alike. 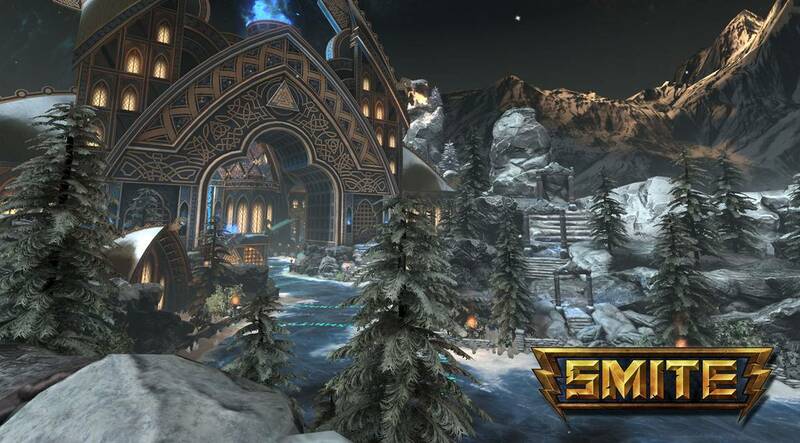 Despite what its name suggests, Strife is trying to change that, and bring fun and teamwork back to the MOBA. 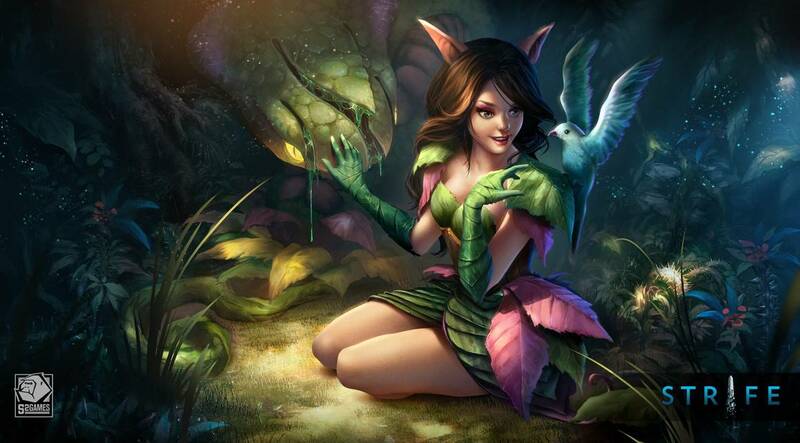 It’s no wonder that S2 Games wants to be the one to fix the MOBA community – their first title, Heroes of Newerth, has been awarded the title of world’s most hostile gaming community, above even League of Legends. Strife has been designed to discourage and even disable hostile players, while encouraging teamwork and a softer, more fun approach to an already well-worn genre. How exactly does it do this? Far from just dumbing-down the general play, Strife has instead opted to make mistakes less punishing, and rewards less exclusive. Death no longer results in losing stacks of gold, and rather than having a cluster of players in the same team elbowing each other to deliver last-hits on creeps, Strife shares the gold for a kill between the closest players on the same team, effectively rewarding teamwork over the success of any single member. This makes for a softer early game, when a perfect gold farming strategy can be so frenetic and crucial in other titles, and a more forgiving entry point for new or casual players. Meanwhile, players also have the chance to rank each other on their behavior and attitude. Consistently poorly-ranked players will eventually lose their ability to chat in game, while well-ranked players will get boosts in experience and resource gathering. 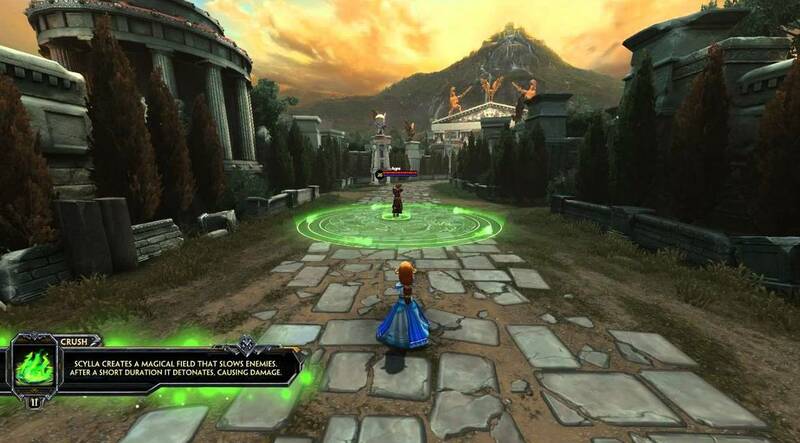 The bones of a MOBA are still in place – three lanes with two opposing teams – but there are new takes on common elements too. 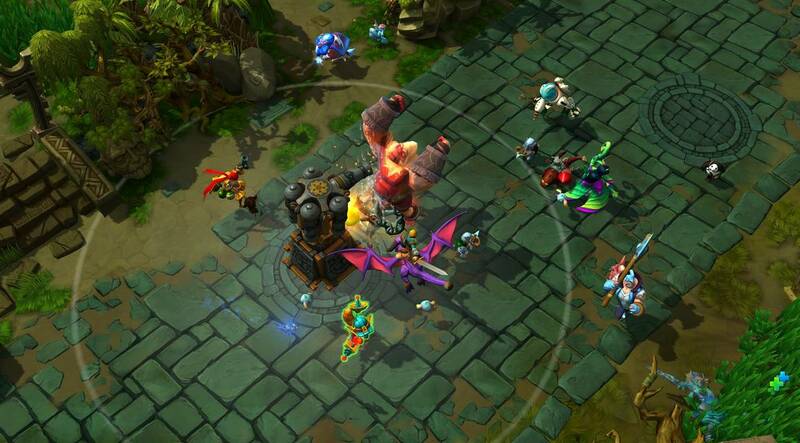 Observation towers can be claimed and act as wards, revealing enemies for you until they are claimed by the other side. There’s also Krytos to content with – a giant King Kong-like creature who can be freed by one team in order to wreak temporary havoc on the other. It’s incredibly fun to see Krytos smash up your opponents, and while its less enjoyable to be on the receiving end, his presence in the game really changes things up in the mid to end sections of a match. Everything about the game seems designed to create a softer impression, and pets are no different. They serve as companions, granting your Hero extra abilities. You choose a pet at the beginning of a match, and their effects ranges from giving you a boost in attacking creeps to better defense abilities against other heroes. 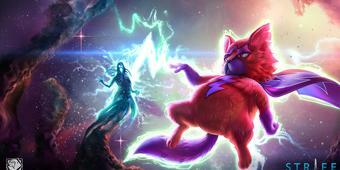 Pets can be leveled up and will “evolve” into more advanced and powerful forms. In our view, they’re a fun and interesting alternative to the typical skill trees found in most MOBAs. Crafting is another awesome addition to the game, and more importantly, one that rewards regular players. At the end of each match you’re granted a resource, which can be combined with others as you progress to level up the available in-game items. This doesn’t give you a powerful item for keeps, but it enables you to buy that upgraded item with gold during a match. The more matches you play, the more likely you are to claim rarer resources, eventually unlocking legendary item upgrades. This helps you better plan and prepare the support tools that will be most useful in battle around your own play style, and is S2’s way of encouraging you to keep playing. The in-game cash shop is nothing new, but surprisingly well balanced. For starters, all heroes are available from the very beginning, and you don’t need to pay to unlock them. With real money, you can unlock special skins for your heroes, and also slightly speed up the rate of receiving crafting resources and gold. However, any advantages this gives you are slight, and the game doesn’t feel tilted in favour of paying players. Strife was still in open beta when we played so this may change - though considering how careful S2 is being with its new title, we doubt it. In conclusion, Strife is an excellent game. Targeted at new and casual gamers and marketed as a softer, easier entry point, it nevertheless brings true variety and freshness to the MOBA genre, with enough clever new features to build an experience worth having for even seasoned MOBA fans. Ready to enter the world of Strife? Click here to play now! A serious attempt at a more civilised MOBA community, plus the addition of pet companions and a crafting system.